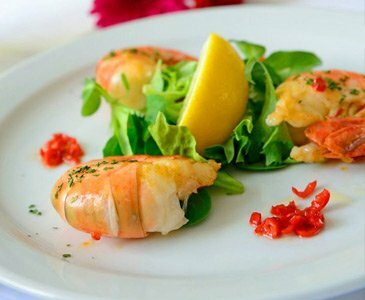 All of the food at The Teesdale Hotel we serve is cooked on the premises using fresh, seasonal, good quality locally sourced ingredients. 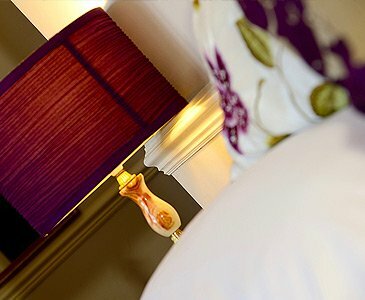 A warm welcome awaits, whether you're coming for a stay in one of our lovely en-suite rooms, or for some great local food, or just a drink or two in our cozy bar. All of the food at The Teesdale Hotel is cooked on the premises using fresh, seasonal, good quality locally sourced ingredients, conscientiously prepared and served by friendly staff. A warm welcome awaits, whether you're coming for a stay in one of our lovely en-suite rooms, or for some great local food, or just a drink or two in our cozy bar. At The Teesdale Hotel we believe in straightforward, friendly hospitality. Bed and Breakfast B&B holiday hotel accommodation excels at the Teesdale Hotel, a purpose built coaching inn which has been providing accommodation and refreshment to travellers for many years. Our characteristic stone archway, built for horse-drawn carriages, led to the stables and grazing for the horses. Nowadays, you'll drive through the arch to our large private car parking facilities and our secluded garden patio area (we have been awarded Middleton's Gold award for our summer blooms). As well as being set in the beautiful and unique countryside of Upper Teesdale in the Durham Dales, Middleton-in-Teesdale is nestled between, and within easy reach, of the High Pennines, Yorkshire Dales, Lake District, and Hadrian's Wall country in Northumberland, making it the ideal centre for holiday accommodation in North East England. It is also a short drive to the historic cities of Durham, Newcastle and York. A quick check on the map will show that not only are we called Middle-ton, we really are right in the middle of the North of England! 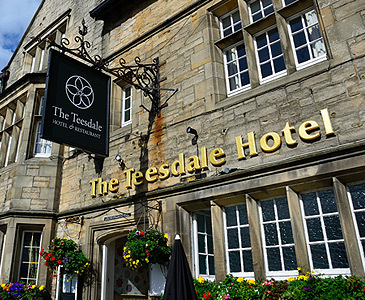 For holiday accommodation; mini breaks, special breaks, or bed and breakfast accommodation, in this unique part of the world, The Teesdale Hotel is the perfect choice!